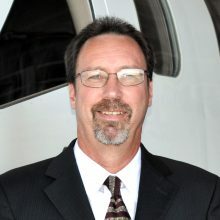 PHOENIX, Arizona – Cutter Aviation is pleased to announce the appointment of Chris Muise to the position of Client Relationship Manager supporting TBM Aircraft clients. He will be the dedicated point of contact for client ownership experience and expediting post-sale maintenance to include managing and coordinating action plans with approved service centers. Mr. Muise started his career with Cutter Aviation in 2013 as a maintenance technician in San Antonio, TX. Mr. Muise’s hard work and dedication to service helped pave the way to his promotion to Lead Mechanic. As a Lead Mechanic Mr. Muise supported clients during aircraft maintenance and upgrade services by working closely with the Aircraft Service Manager. Working diligently to capture each client’s desired outcome and translating those desires into specific guidance to the service team provided Mr. Muise with valuable experience that he brings with him to his new role. Prior to Cutter Aviation, Mr. Muise worked as a service technician, team leader and aircraft inspector for a wide variety of aircraft models at an Authorized Service Center for Beechcraft products. Mr. Muise attended numerous Flight Safety Training Courses and achieved the Flight Safety Master Technician certificate for the Beechcraft King Air 200. He is also a certified A&P. This entry was posted on Wednesday, October 3rd, 2018 at 8:10 pm	and is filed under Aircraft Maintenance, Aircraft Sales, Cutter Aviation, Cutter Aviation Careers, Cutter TBM Sales, Cutter Team Announcements, Featured, Press Release, SAT News, Technical Services. You can follow any responses to this entry through the RSS 2.0 feed. Both comments and pings are currently closed.